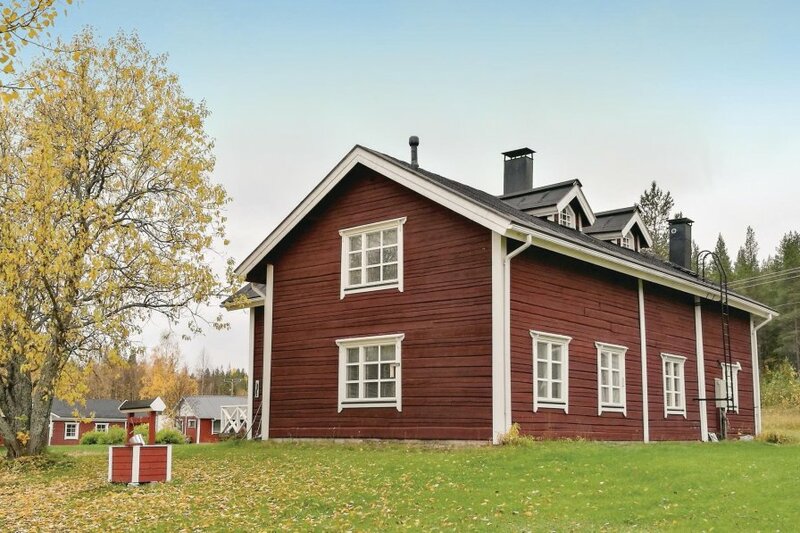 The interesting house is located just 5 minutes from the center of Levi, a very popular holiday destination. The large log cabin is quiet and private beach, the beautiful Lake Immeljärvi. The interesting house is located just 5 minutes from the center of Levi, a very popular holiday destination. The large log cabin is quiet and private beach, the beautiful Lake Immeljärvi, on the mountain Kätkä. The very large house offers a spacious, comfortable accommodation for 8 to 20 people. The rustic furnishings create a pleasant atmosphere. 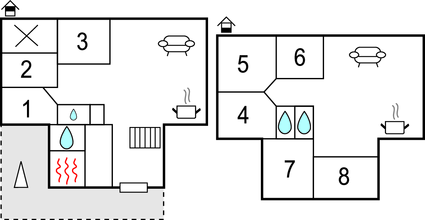 There are eight bedrooms and two living room with fireplace, spread over two wings house. Relaxation outside the home has a sauna. The complete kitchen equipment inspired to cook together. You can have it delivered the food also. Nearby there is a restaurant, a traditional wood-fired sauna, smoke sauna, two hot tubs, this facilities are available for a fee. The real specialty is the sauna boat on the lake. You can swim, take a sauna and then fishing the same time. Hiking and biking trails lead to Levi, the oldest national park in Finland is also equal to find around the next corner. This beautiful modern cottage is made from wood and was originally built in 2000 and refurbished in 2010. The agent has rated it as a four star property so it is a well-equipped cottage with above average furnishings. It is also great value for money. This cottage has beautiful panoramic view over water and is located in Lapland, only 3.5km from Sirkka. The nearest airport is only 15km away. It is set in a very convenient location, just 15 metres away from a lake. There's also a restaurant only 40 metres away.